Two Minutes of Silence: 1100 hrs. Scheduled Warning Signal: 1105 hrs. Join us for the 2019 VRC Remembrance Day Pursuit Race. 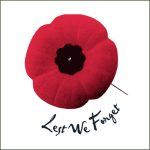 This tradition, started by FCYC, and carried on by VRC is in remembrance for the men and women who have served, and continue to serve our country during times of war, conflict and peace. There will be two minutes of silence observed at 1100 hrs including all motors off in the fleet. The starting sequence will begin at 1105 hrs The format for the race is different from any other VRC event and an enjoyable change. A start schedule with boats starting according to their PHRF rating will be created and posted to the website and in the Sailing Instructions. Slower boats will start first, with the faster boats starting later. Potentially the entire fleet could end up finishing together at the same time. All boats with an affiliation to a Sail Canada member club, proof of insurance and meeting all other requirements in the Notice of Race, are invited to participate. Boats without a PHRF certificate may ask for a “club rating” from the race officer. Registration is FREE! All boats must register by completing the form below to partake in the event. No registrations will be accepted after 23:00 hrs on Sunday, November 10th.